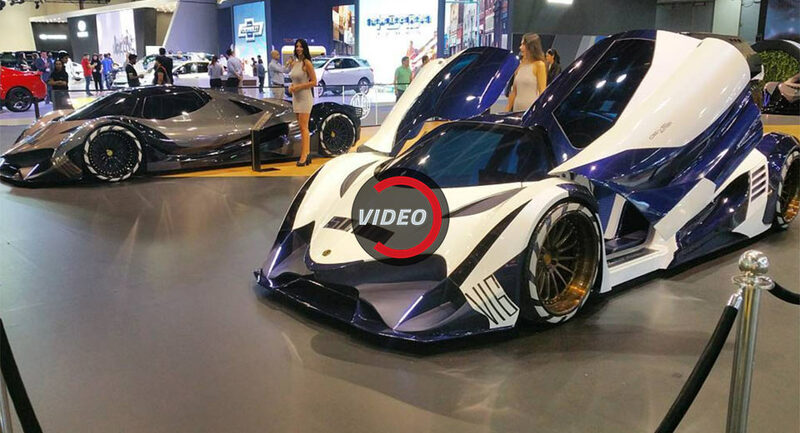 Hot on the heels of the Devel Sixteen premiering in production spec at the Dubai Motor Show, pricing details for the hypercar have been announced. According to Arab GT, the Sixteen range will start with a road-legal variant delivering 2,000 hp from its twin-turbocharged V8 and priced from $1.6 million. Unlike the quad-turbo V16 discussed in the past, we’ve yet to see this V8 in action and don’t yet know if it will be a custom powertrain or instead based on an existing production engine. Deliveries of this variant should commence two years after orders are taken. Moving up in the range will be a 3,000 hp Sixteen with the same twin-turbo V8. Like the entry-level model, it will be delivered two years after order but cost $1.87 million. For an additional 1,000 hp, that price hike doesn’t seem excessive. Last but not least is the 5,000 hp Devel Sixteen, first unveiled to the world four years ago. Unsurprisingly, it has emerged that this version will be restricted to track use and utilize a quad-turbo 12.3-liter V16. Deliveries will reportedly start one year after order and start at a cool $2.2 million. Although it’s impressive to see that the previously-unknown carmaker has edged closer to bringing its first model to the production line, we’re still not convinced that we will see the car reach production anytime soon.